Volunteering abroad is a rewarding and beneficial experience for anybody who gets involved, although some experiences can prove truly life changing for both teacher and pupil. Teaching is a skill required the world over, no matter if you’re in the wealthy hills of Palm Springs or a poverty stricken region of Malawi, there are always children in need of a decent education. It’s a hard pill to swallow for most people then, when you learn of areas which have little to no educational system, where children will never be able to learn to read, write, or find their way out of a difficult life. However, while many people cannot change this situation, teachers can. It can be a tough decision to make, but to help make up your mind, here are four reasons as to why you should give it a ago. Both fully qualified teachers and teachers in training have skills and knowledge that has the potential to impact poverty-stricken nations in a powerful way. In places where there are health problems, and where food is scarce and money scarcer, education understandably takes a back seat. This creates a troubling loop, as without education, the people of struggling countries find it hard to solve the issues they face. As we all know, knowledge is power. However, this lack of knowledge is changing. The voluntourism industry has exploded in recent years, opening up people to educating abroad. This, combined with the other charitable causes, has enabled some children to experience education in a way that was not possible before. But, while money is sent over to construct schools and travellers make the journey to teach basic subjects, there is one thing these countries are still desperately short on: qualified teachers. Its a no-brainer really, that a teacher with the training and ability to impart a greater field of learnings is going to have the biggest impact on a child’s education, no matter where you are in the world, but in nations where schooling is regrettably underfunded, opportunities for children to be taught by such professionals are far and in between. As a member of this elite group then, you’ll be able to change their lives, and change them for the better. Being out in a world without some of the support you are normally accustomed to, you’ll be able to stretch your teaching muscles in a way you never have before. With limited resources at your disposal, you’ll have to rely on your imagination and your initiative to pass on knowledge to these eager young minds. Books and computers are in short supply, however, this allows you to step out of your comfort zone, and come up with your own unique teaching strategies. 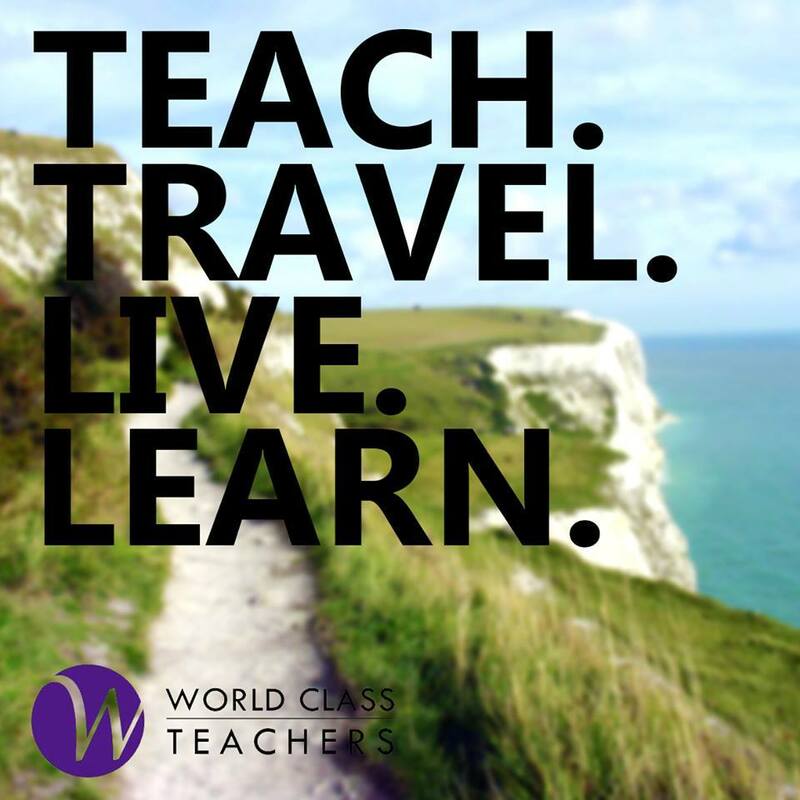 While this does mean a trip to teach abroad is no relaxing break abroad, it also can be a fun and exciting experience that allows you to return to your school at home brimming with confidence, having been able to work with limited resources and still see results. In most teaching environments in the UK and most other developed nations, as a teacher you’ll be part of a large and complex system and unless you’ve been in the game a long time, you’re not likely in a leadership role within the establishment in which you work. However, in countries like Malawi, where you will be one of the highest ranking members of staff in the room, many of the decisions are to be made by you, and for the week, month or year you are there, you’ll have the chance to grow as a leader. As a result, teachers who travel abroad to volunteer teach experience valuable leadership experience, experience that might put you ahead if a more senior role were to appear at your place of work. No matter if you’re a teacher, a mathematician or a hairdresser, a part of volunteering abroad that is always exciting and worthwhile is seeing and experiencing new parts of the world. Unlike the usual tourist hotspots people usually travel to places where you would normally travel to volunteer are often unique and infrequently visited places, providing insights and experiences of the world around you that you never could have experience anywhere else. South Africa, for example, is a popular place for volunteering, that also has an incredible culture, unforgettable monuments and breathtaking natural wonders. For information on how to get involved or to register visit Naturally Africa Volunteers.